Sleep, dream, siesta, snooze, tranquility, downtime, break, quietude and quiescence have become a second priority in this technology-driven society. The research and data have shown that humans are the only mammals who willingly delay sleep. Most people can survive for up to two months without eating, but only 11 days without sleeping. Even the marginal sleep they get is distracted by phone calls, text messages, Facebook messages and tweets. The technologies have imprisoned the developed society, and people feel threatened to be disconnected. Though not stigmatized, caffeine is the most popular drug worldwide. People consume caffeine in the form of coffee, tea, cocoa and energy drinks that can help block the adenosine receptor in brain to keep them up. Before the advent of electric bulb by Thomas Edison in 1879, the work schedule had been centered on human circadian rhythm with people working in the daytime and resting at nighttime. But following the Industrial Revolution, we have come to live in a 24-hour, technologically driven society. Sleep deprivation has been linked to several major accidents, including the Exxon Valdez oil spin and the Chernobyl nuclear disaster, as well as accidents related to drowsy driving. 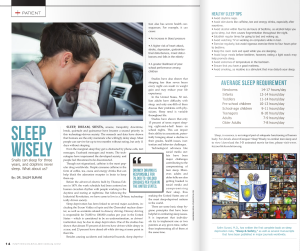 Drowsy driving is responsible for 76,000 to 100,000 crashes per year in the United States – which is considered to be an underestimation, as drivers’ inattention may be due to sleep deprivation. One of the studies has shown that almost 55 percent of drivers have driven while sleepy in a year, and 23 percent have dosed off while driving at some point in their life. Studies have also shown that sleeping less than seven hours every night can result in weight gain and may reduce your life expectancy. In the United States, 50 million adults have difficulty with sleep, and only one-fifth of them discuss their problems with physicians. Sleep need is variable throughout life. Studies have shown that only 15 percent of teens report sleeping eight-and-a-half hours on school nights. This can impair their ability to concentrate, potentially bringing about a decline in their grades, health issues, inattention and behavior challenges. Technological advances like social media outlets have been major challenges contributing to the compromising of teen sleep. Moreover, adults and older folks are also getting hooked to social media and compromising their sleep, thus making the United States one of the most sleep-deprived nations in the world. There are some basic sleep hygiene principles that have been helpful in combating sleep issues. It is important that individuals try to implement one or two pointers at any given time, rather than implementing all of them at the same time. • Avoid stimulants like caffeine, tee and energy drinks, especially after noontime. • Avoid alcohol within four to six hours of bedtime, as alcohol helps you go to sleep, but then causes fragmentation throughout the night. • Establish regular times for going to bed and waking up. • Avoid watching TV or working on computers while in bed. • Exercise regularly, but avoid vigorous exercise three to four hours prior to bedtime. • Keep the room dark and quiet while you are sleeping. • Avoid large meals before bedtime; however, eating a light snack may help promote sleep. • Avoid extremes of temperature in the bedroom. • Ensure that you have a good mattress. • Avoid smoking, as nicotine is a stimulant that may disturb your sleep. Sleep, in essence, is an integral part of adequate functioning of human body. For details about iConquer: Sleep Wisely, to combat teen sleep and to view/download the 3-D animated movie for free, please visit www.itsyourlifefoundation.org. Salim Surani, M.D., has written the first complete book on sleep deprivation risks, “Sleep & Safety,” as well as several manuscripts that have been published in major journals worldwide. Vaping, smoking, puffing, sniffing, chewing and snorting seems like an adrenaline-pumping and exhilarating activity – at least, that’s what the tobacco and e-cigarette producers would like for consumers to believe. Cigarette smoking kills 480,000 Americans each year. This is equivalent to four jumbo jets crashing every single day, with no survivors. If we consider tobacco issues worldwide, every six seconds, a person dies due to tobacco-related illnesses, and one in 10 people dies due to smoking. Unfortunately, this is not just limited to adults. In the United States, every day, 2,800 children try their first cigarette, leading to more than 250,000 new underage smokers per year. Surprisingly, 90 percent of adult smokers began smoking while they were in their teens and younger. Tobacco industries spend almost $9 billion a year on tobacco marketing. According to research, 90.7 percent of middle-school children and 92.9 percent of high school children are exposed to tobacco advertising and marketing in some form. Smoking-related health care expenditures are $260 million a day and $260 million a day in loss of productivity. Worldwide tobacco use killed 100 million people in the 20th century. If current trends continue, it will kill one billion people in the 21st century. With this data in hand, it is no surprise that the United States still ranks in the top five tobacco-consuming countries worldwide. Enormous effort has been made to educate the community worldwide regarding the hazards of smoking, ranging from chronic obstructive lung disease (COPD) to lung cancer. A new wave of e-cigarettes has taken over the nation. Whether it is helpful (which it may be in some cases) or harmful all depends on how it is used. Those who make e-cigarettes claim that e-cigarettes are safe; however, the Federal Drug Administration (FDA) says, prove it. The marketing and advertisements for e-cigarettes are growing exponentially, with e-cigarette makers spending $60 million in promotion and advertisement. To date, e-cigarette sales have hit $2 billion. Companies are increasing their marketing budgets by 300-plus percent, with major marketing strategies revolving around the idea that it is safe (which is an unproven claim). The FDA has not yet approved e-cigarettes as a smoking cessation device, but e-cigarettes have been widely used. The major concern that has shaken the health care workers is the potential for nicotine addiction, which is the most addictogenic substance, and the drastic increase in the numbers of new users, including teens, who feel the product is safe. The FDA and the Centers for Disease Control and Prevention, as well as several medical organizations, have raised their concern regarding the increased youth addiction on nicotine due to e-cigarette usage. In some of the e-cigarette cartridges of liquid, they have found 18mg or more of nicotine. For children, 10mg or more of nicotine can be dangerous. The International Respiratory Society forum has also advocated against the use of e-cigarettes and suggested that it should be banned, at least until more information is available. Now, how does an e-cigarette work? When the user inhales the e-cigarette, it activates the heating element. The e-cigarette solutions, which are composed of nicotine (the most addictogenic substance), liquid solvent (as propylene glycol) and the flavoring agent, are vaporized at that high temperature and inhaled by the person. A recent study published in a major journal showed that high-voltage vaping creates formaldehyde, which is a cancer-producing substance. The risk of cancer from this substance was felt to be much greater than conventional cigarettes. Since e-cigarettes are not regulated, it is tough to know if the premier brand may be using higher voltage to give an extra nicotine kick and inadvertently increase the risk of cancer. Despite the possible benefit to help in reducing the cigarette usage, the e-cigarette has not been approved as a smoking cessation measure, and it has been a potential route for creating more future smokers. In essence, tobacco and nicotine in any form may be habit forming and harmful. The best measure is to say “no” to smoking – the first time and every time. 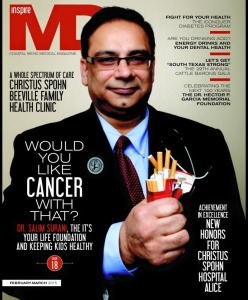 For details on programs to combat smoking among children, visitwww.itsyourlifefoundation.org. Students dance and sing to end diabetes. They’re teaching youngsters how to stay healthy…through a little song and dance. 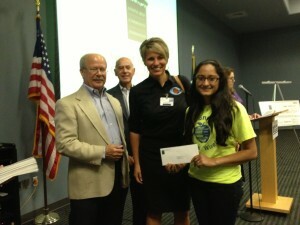 She along with several other students created the I-Conquer program. “This is project I Conquer. We actually found it to increase awareness about diabetes and childhood obesity as well as teach children how to live healthier lives,” Surani said. Showing kids eating healthy and exercising can be fun. “Our mission is to create habits instead of changing them and we do this through puppet shows, Zumba dances, moves and then fun little jingles and songs,” Surani said. Kindergarten students at Luther Jones are just one of the schools participating in the I-Conquer Program and it seems to be catching on. “I was learning about if you eat junk food, you will, you can’t exercise and you’ll be lazy,” David Lee, a Kindergarten student at Luther Jones Elementary said. Surani says teaching kids at a young age will help them live a healthier life in the long run. “So, we thought that this was very important. we’re geared toward 3 to 7 year olds because at this age, the children are like sponges. They absorb anything we can tell them,” Surani said. CORPUS CHRISTI –Making better choices usually means living a better life. At least, that’s the thought which drives the people who lead the It’s Your Life Foundation.IYLF is a non-profit organization funded in partnership with local businesses, as well as physicians and local, regional and national foundations. 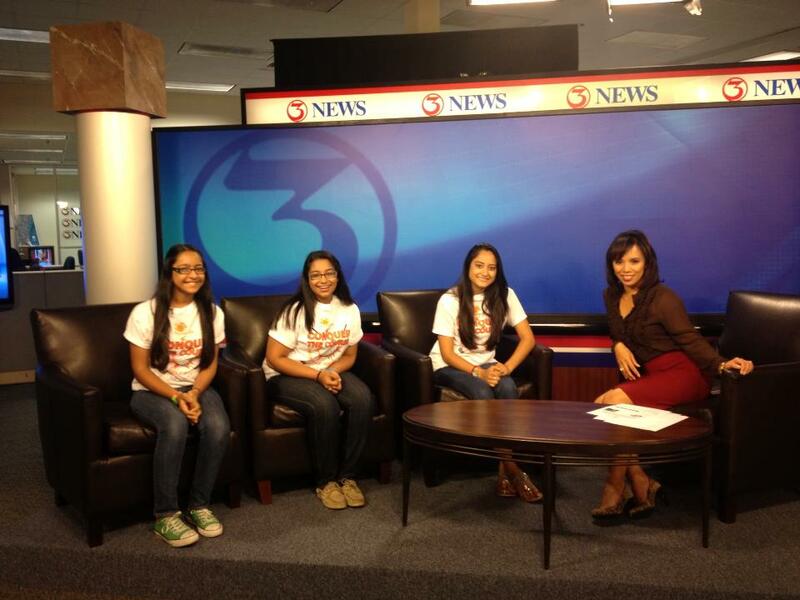 Since its beginning with a tobacco education project for children and teens in 2005, the organization has reached in excess of 70,000 young people with more than 2,000 presentations delivered in schools across South Texas.Currently, IYLF is working to expand something called iConquer, a youth-driven project designed to combat childhood obesity and diabetes – two of the biggest health threats in our area.A recent study found that South Texas has the highest percentage of people being diagnosed with diabetes in Texas. About 52% of South Texans do not get the recommended amount of exercise and 76% do not get enough fruits and vegetables. It is said that 1 in 3 children born in 2000 will develop diabetes. IYLF would like to decrease that alarming number.Citing the study, Board President Dr. Salim Surani, MD notes, “If a child is obese between the ages of 3-5 years, then they are eight times more likely to be obese during their adulthood. Since habits are formed during these critical years in a child’s life, we plan to educate them with age appropriate techniques about healthy living habits. 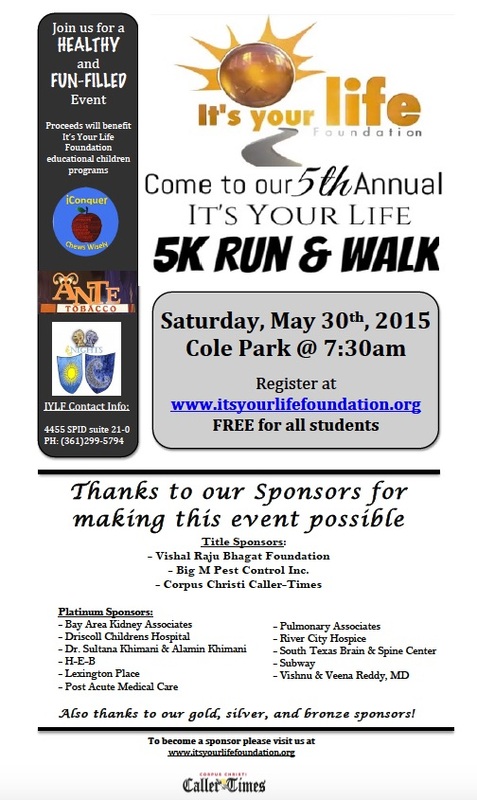 Rather than changing habits, we plan to help ‘create’ habits.”It’s Your Life Foundation is holding its 5th Annual 5K Run/Walk at Cole Park on Saturday, May 30th, to benefit the group’s Ante Tobacco and iConquer education programs. A registration form may be found at www.VfitProductions.com.To learn more about IYLF, visit www.ItsYourLifeFoundation.org. 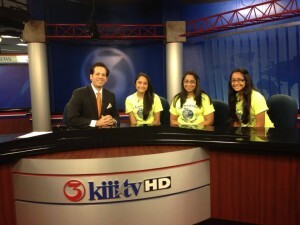 Noted medical researcher and pulmonologist Dr. Salim Surani gives local kids the tools they need to stay away from tobacco, to get enough sleep, to eat healthy and more at the It’s Your Life Foundation. Dr. Salim Surani is one of the world’s leading medical researchers and pulmonologists, discovering the effects of sleep on health, among many, many other topics. He holds positions as associate professor at the University of North Texas and Texas A&M University Corpus Christi, while at the same time, working as the director of critical care services at CHRISTUS Spohn Memorial Hospital and director of the TORR Sleep Centers in Beeville, Alice and Corpus Christi. He also currently serves on several boards, including the CHEST Foundation and the Del Mar College Respiratory Care Program, and has served on the board for CHRISTUS Spohn Health System. He is an editorial board member for several medical publications, including the Journal of Sleep Medicine and Disorders, Clinical Studies and Medical Case Report, Austin Journal of Clinical Case Report and Open Respiratory Medicine review and Current Respiratory Medicine Review, and he is also a grant reviewer for the Rannis Icelandic Research Fund (European Nation). This sounds like enough to keep the man too busy to sleep, even after all those studies he’s done that show how important it is. But Surani feels that all of this academia is important and impactful – it is most important to take the research and knowledge he has gained and use it to make a difference in people’s lives. This is something he learned many years ago after medical school, when he went into rural Pakistan on a mission to teach the local population about disease prevention and health to improve the quality of life of the people there. So, in 2005, enter the It’s Your Life Foundation. Surani began the organization to educate local children at a very young age about the damaging effects of smoking before they ever take that first puff. “Smoking is one of the biggest killers, and it’s preventable!” he says. The foundation consists of kids who have volunteered to get this message out to their peers. Middle and high school students, along with community volunteers, have spent years making videos and taking them to local schools to give presentations to 50,000 students about the dangers of smoking and give them the tools they need to stay away from tobacco. The middle and high school kids go to each participating school for 45 minutes once a week for four weeks. They show the video, take a chef to show them how to prepare healthy foods, do puppet shows, etc., and even hand out healthy snack as part of the program, all to get kids excited and motivated to choose healthy foods for life. The program has been endorsed by the Junior League of Corpus Christi and the Mayor’s Fitness Council, and it received the Corpus Christi Caller Times’ Community Award in 2013. Now it’s generated interest all over the country, and its impact will continue to spread. Next on the agenda: a program called iConquer specifically targeting diabetes. The foundation went to L to create a 3-D animation movie teaching kids 2 to 6 years of age about the disease. With the reach for these videos and programs averaging 15,000 children a year, this is a little foundation making a big impact. The funding comes mostly from Surani and his supporters, including the Ed Rachal Foundation, the Dr. and Mrs. Hugh A. Kennedy Foundation, the Coastal Community Foundation, the Texas Medical Foundation, the LeVerene and Thomas Howell Foundation and the CITGO Helping Hands for Hillcrest program. However, the organization has never done any organized fundraising campaigns except an annual walk and golf tournament. To watch the movies and/or show them to your class or group, visitwww.itsyourlifefoundation.org. 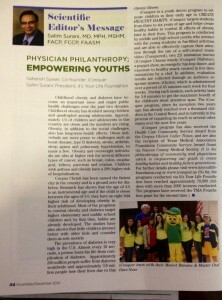 The iConquer: Diabetes program helps prepare youth to become leaders in combating diabetes.By: Dr. Salim SuraniRunning, walking, jumping, hiking, cycling, climbing and dancing: These are all integral aspects of our life. Imagine living life as an amputee. Corpus Christi is ranked No. 1 in the nation for below-knee amputation, and it ranks No. 3 in the state of Texas for death from diabetes-related complications. Although eating sweets in moderation is sometimes OK, the overconsumption of sweet and saccharine foods has quickly become an integral part of our dietary culture.Approximately every 10 seconds, a person dies from diabetes-related complications; approximately 3.8 million people per year die from diabetes-related complications; and 250 million people, or approximately 6 percent of the world’s adult population, suffer from diabetes. Diabetes has become a global challenge that has reached epidemics throughout the world. In order to combat this epidemic, the United Nations recently passed a resolution to urge countries to emphasize their resources in the education, prevention and treatment of diabetes.The prevalence of Type 2 diabetes is radically increasing among the U.S. population. Currently, 29.1 million people, or 9.3 percent of the U.S. population, suffer from diabetes, and 1.7 million new cases of diabetes are seen in this country every year. Diabetes is quickly becoming a household name as more and more parents and children become affected by it. Twelve point eight percent of Hispanics have diabetes, compared to 7.6 percent of Caucasians. In the United States alone, diabetes-related costs total to more than $245 billion a year. In Nueces County, the prevalence of diabetes is more than 14 percent.Type 2 diabetes has always been associated with adult population. Contrary to popular belief, incidences of Type 2 diabetes have been more common among kids and teenagers who are overweight and obese. Furthermore, approximately 8 to 45 percent of children who have been newly diagnosed with diabetes have been diagnosed with Type 2 diabetes.Diabetes is a preventable and treatable disease. Imagine the lives of children who have recently been diagnosed with diabetes. They are scared, frightened, worried and afraid. Early education combating diabetes not only helps educate them about prevention, but also helps alleviate and vex their fears. Efforts have been made toward early education in diabetes, especially among the high-risk adult population. Prevention efforts among children are minimal.Leslie Saloman, a young teenager is taking care of several family members who are suffering from diabetes. Her day involves checking their blood sugars, educating them about an adequate diet and ensuring compliance. She already has a few family members who are suffering from diabetes-related complications, and she has the risk factors and genetic tendency to suffer from diabetes. She is prepared, despite her several responsibilities as a child. It is all because of her self will to understand the disease, diet, prevention and importance of a regular checkup.The youth-driven iConquer: Diabetes program, including Leslie, aims to educate children from age 4 to 6 about diabetes. The middle and high school students leading the program use skits, animated movies and sublimal messages in an entertaining and palatable way. This program will help prepare the today’s children to be future leaders, and to help prevent diabetes and decrease the incidence of this deadly disease.This early education program will help young children conquer future challenges with more confidence.For details or to download the free copy of the animated movie, “iConquer: Diabetes,” in English or Spanish, visit www.itsyourlifefoundation.org or www.iconquer.us. The youth-driven iConquer program combats the biggest health threat among our children.By: Dr. Salim SuraniPassion, energy, dedication, devotion, discipline, cultivation, excitement and joy: This is how I would describe the program, iConquer, a youth-driven program whose mission is to combat obesity and diabetes, and to create a healthy and happy nation and healthy and happy communities.With the New Year approaching, we all make ambitious goals and attempt to transform our own lives. Is it the time for us to teach our children by setting an example with our actions. 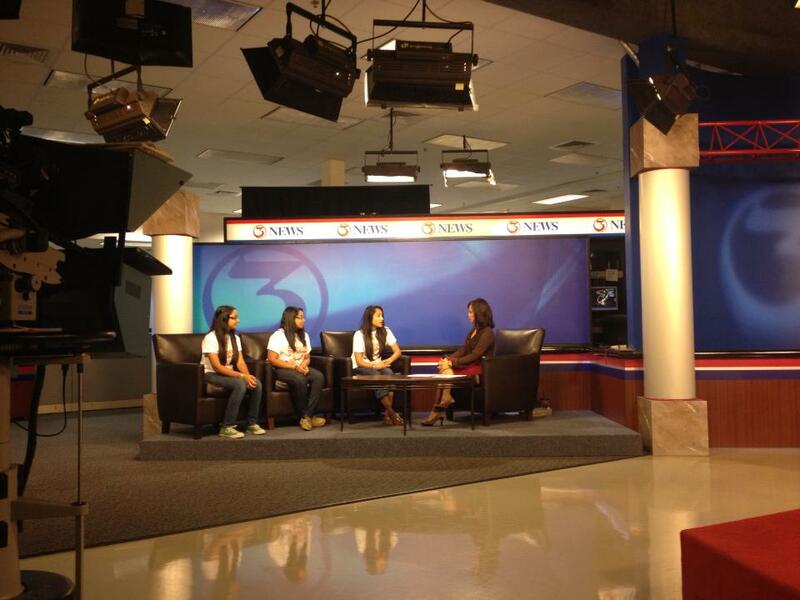 Obesity has been labeled one of the biggest threats in South Texas. More than 33 percent of children and adolescents in this country are obese. Obesity has doubled among children and quadrupled among adolescents over past three decades. One in three Texas children is overweight or obese, and almost 50 percent of Hispanic children in Texas fall in this category. In Texas, Hispanic children have the highest rate of obesity.Obesity has grave consequences for the person, the family and society. Its consequences are severe; it can decrease the life expectancy of our future generation, with increases in the risks of high blood pressure, diabetes, heart disease, stroke, cancer, joint problems and sleep disorders, to name a few. Children with asthma and obesity have a 29 percent higher rate of hospitalization. In addition, children who are obese have lower grades and a higher frequency of absence from school.Studies have shown that the pre-kindergarten age is critical, as that is when habits are formed. Children who are obese at 3 to 5 years old are eight times more likely to be obese in adulthood compared to children who weigh within the normal range. It is imperative that education on combating childhood obesity and improving health habits is engrained at an early life, and parents and peers need to serve as role models. Most of the current programs are geared toward middle and high school, which is important, but early childhood education on this important issue is lacking.The iConquer program is unique and youth-driven in its efforts to combat childhood obesity and promote healthy living at a very early age. This program has been designed and run by the youth of our community. They reach out to children from the early childhood development stage to first grade. They use a unique, four-week program encompassing four 45-minute sessions, as well as a high-tech audience response system to gauge their knowledge. During each session, they use an array of engaging, age-specific activities, such as animated movies (written and scripted by community youth), puppet shows, hip-hop sessions and exercise routines.The emphasis is also on healthy food, as they promote kid-friendly portions and feature youth and professional chefs demonstrating the preparation of healthy snacks. The concept is unique; the youth serves as mentors and role models for children in addition to their parents and siblings. Getting parents involved in these activities is the new goal for this club.Developing healthy habits at an early age will help us have a healthy generation, and prevent numerous health-related costs and consequences later in the lives of our children. Since these children are the leaders of the next generation, let’s transform our lives for the healthier and conquer diabetes, obesity and chronic illness.For further details about the iConquer program, to see the community youth in action or to download animated movies or fitness songs, please visit www.itsyourlifefoundation.org orwww.iconquer.us. 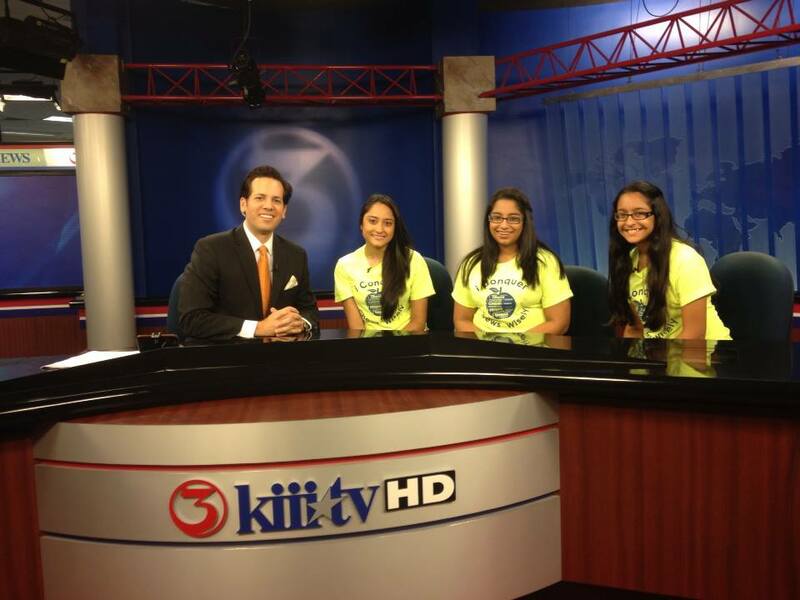 CORPUS CHRISTI (Kiii News) – Three Coastal Bend sisters are targeting their younger peers in their latest video project. The mission of their iConquer project is to shape children’s habits in order to reduce the risks of diabetes and obesity. CORPUS CHRISTI — Preparation for a 5K often occurs on a track, a trail, a treadmill or on the street. Years before that, though, preparation for the It’s Your Life 5K walk and run April 26 has already begun in school auditoriums and gymnasiums. “What are healthy foods?” a high school volunteer asked at a recent presentation to about 100 kindergartners at Corpus Christi Independent School District’s Hicks Elementary School. The volunteer is part of iConquer, a diabetes and obesity prevention program by It’s Your Life designed and presented by teenagers for elementary students. “Bananas. Apples,” a few kids called out, tentatively. They had reason to know. This was the third of four iConquer presentations at the school. The kindergartners had already seen a puppet show and a short animated movie on healthy eating, learned a song about fruits and vegetables, and met Banunu, the life-size yellow fuzzy mascot who vouches for the benefits of healthy snacks. As the high school volunteers gave smiles and nods of encouragement, the younger students’ excitement built. “Carrots! Spinach! Blueberries!” kids shouted. The excitement is contagious to the older students as well, who have given themselves healthy fruit and vegetable nicknames. “We like to see how excited they are to see us,” said Jason “Jalapeño” Dominguez, a volunteer from Carroll High School. Early preparation is a key strategy of the It’s Your Life Foundation, which aims to reach children with messages of healthy living before unhealthy habits are ingrained. In addition to iConquer, the nonprofit encompasses other projects: the Anti-Tobacco prevention program and the KNIGHTS (Keep Nurturing and Inspiring Good Habits in Teen Sleep) program against sleep deprivation in teens. Volunteers estimate that It’s Your Life, now in its fourth year, has reached 30,000 children with its programming. Proceeds from the 5K will benefit projects including a new animated movie about diabetes. The event also funds a special incentive: the top three schools with the most 5K finishers earn grants for their physical education programs. The benefits of joining as a community to walk and run are equally valuable, organizers said. CASA Superhero 5K run & walk, 2-mile walk, & 1K kids fun run: 8 a.m. May 3, Heritage Park, 1581 N. Chaparral St.
© 2014 Corpus Christi Caller Times. All rights reserved. This material may not be published, broadcast, rewritten or redistributed. CORPUS CHRISTI — In ongoing efforts to battle chronic disease in Corpus Christi, the Mayor’s Fitness Council designated its first healthy event, the It’s Your Life Foundation 5K Walk and Run, which met the council’s stringent criteria. As part of its changing strategy to shed the city’s Fattest City label and make the city a healthier place to live, the fitness council earlier this year announced incentives to improve health and wellness, including waiving park rental fees for up to three events per year that meet strict requirements: Smoking must be banned, unhealthy foods are prohibited, and participants must be offered healthy eating tips. Proceeds raised by the 5K will go toward promoting the foundation’s two initiatives, an anti-tobacco program that educates children about the hazards of tobacco, and a program to combat childhood obesity. The 5K will be held 7:45 a.m. April 26 at Cole Park. Entry is free for children ages 4 to 17 and $30 for adults. Rachel Denny Clow/Caller-Times Yeager Elementary School kindergarten students Daniel Soliz (left) and Cameron Salinas, both 5, try a healthy snack of a cracker, cheese, grape and carrot during an iConquer Chews Wisely presentation by Corpus Christi Independent School District students in October. Rachel Denny Clow/Caller-Times Zoya Surani, 13 (left), and Leslie Salomon, 16, presenters of the iConquer Chews Wisely dance with students at Yeager Elementary School in October during a presentation. Students from Carroll High School and Baker Middle School use puppets, songs and food tastings as teaching tools for healthy eating habits to curb obesity and diabetes. CORPUS CHRISTI — A group of middle and high school students are helping kids fight off bad eating habits taking the message of healthy eating into elementary schools. Yeager Elementary kindergartners recently learned about better eating habits and diabetes risks through theiConquer: Chews Wisely program, which is funded solely by a parent of some group members. Students from Carroll High School and Baker Middle School use puppets, songs and food tastings as teaching tools. The group of girls, in which three are sisters, also associate their first names with fruits or vegetables so their monikers can resonate with the younger students. Many kindergartners first considered candy a healthy food option at the start of the program, which began in schools this year as part of the nonprofit organization It’s Your Life Foundation. “They didn’t know it was bad for them,” said Sara Surani, a Carroll senior who is part of the program’s team. That changed by the third meeting. “What leads to diabetes?” group members asked the 41 kindergartners in October as they gathered in the school cafeteria. “Candy!” students yelled in unison. The program also emphasizes the importance of students exercising and eating fruit and vegetables to make strides in preventing diabetes. Celestine Barnes, 5, said she tried carrots for the first time during an October visit. “They were healthy,” she said after clearing her plate, which also had other foods, such as grapes, apple slices and cheese cubes. Group members said they rely on the fact that students are at an age where they absorb information quickly and maybe they will share what they learn with their families. Rachel Denny Clow/Caller-Times Yeager Elementary School kindergarten students Emylei Head (left) and Dalena Dunn, both 5, try a healthy snack of a cracker, cheese, grape and carrot during an iConquer Chews Wisely presentation by Corpus Christi Independent School District students in October. 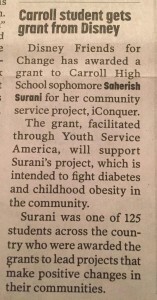 “It really makes a difference to know that we inspired one kid,” said Saherish Surani, a Carroll freshman and Sara Surani’s sister. The program also inspired one of its own members, Leslie Salomon, who plays an active role in her family’s health. Her 13-year-old brother, Jacob, was diagnosed with Type 1 diabetes at 3 years old, and she has a grandmother diagnosed with Type 2. Salomon used to be a key caregiver for her grandmother. Salomon, a 17-year-old Carroll junior, buys the groceries for her immediate family and often opts for healthier foods, such as lean chicken and greens. She said her family started cutting meal portion sizes and eating healthier after her brother’s Type 1 diagnosis. Salomon, who often helps her brother count carbohydrates, said childhood diabetes affects the whole family. Salomon’s father, Ray, 37, said he has relatives with Type 2 diabetes who have vision problems, limb amputations and loss of teeth as a result of the disease. “It’s kind of bad,” he said, adding he makes sure his children routinely get screened for risk factors. He said a family has to work together to stay active and eat healthier. 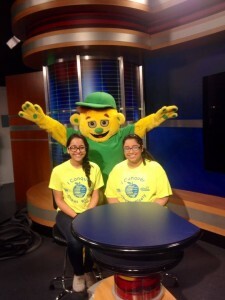 CORPUS CHRISTI – Today was the third annual “It’s Your Life” walk at Heritage Park. Doctors at the 5K walk say it’s important to stay active and make healthy living choices earlier on in life. The “It’s Your Life” foundation tries to help young people make good lifestyle choices but they say that’s a lot easier said than done. Dr. Salim Surani, Pulmonologist said, “When I was a kid I loved the candies and now I’m realizing I got a habit of eating those foods and not exercising. So we want to make sure, the newer generation, we’re creating health habits.” Dr. Surani says obesity is a growing epidemic here in the Coastal Bend and that’s why he says making walking a habit is a good choice. 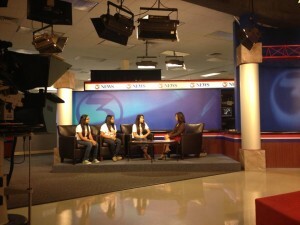 Children Educating community regarding hazards of smoking and the video song “Addicted” to combat and educate children against hazards of smoking in hip-hop music style. 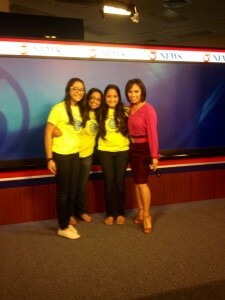 Contributed photo The Surani family of Corpus Christi works together to help youths with public health issues. Most recently their It’s Your Life Foundation has won awards for a 3-D animated film they plan to use to help teens understand the risks of sleep deprivation. From left are: Zoya Surani, Saherish Surani, Salim Surani, Zehra Surani and Sara Surani. Representatives of 10 local nonprofits sign an agreement on Friday with Citgo’s Hands for Hillcrest program, which will benefit residents in the Hillcrest and Washington-Coles neighborhoods — the nearest fence line community to the petrochemical refinery. Citgo has pledged $1.5 million to assist the community during the next three years. About $500,000 will go to the nonprofits during the next year to help pay for education, job skills training, health and environmental programs in the neighborhoods. CORPUS CHRISTI — A neighborhood that has been in decline for years is expected to receive a community boost to improve literacy, education, job skills training, healthy habits and energy efficiency at home.Citgo Petroleum Corp. on Friday unveiled the names of 10 local nonprofits that during the next year each will get a portion of a $500,000 grant for programs that benefit Hillcrest and Washington-Coles residents. The grant funds are a part of a $1.5 million pledge Citgo gave this past May, known as Hands for Hillcrest, to work with nonprofit groups to help the community, which is its nearest fence line neighbor.”This is part of our unwavering promise that we will support this neighborhood and commit to the fullest,” Citgo spokesman Larry Elizondo said during a news conference at the Oveal Williams Senior Center.Hillcrest and Washington-Coles are neighborhoods rich in history and are some of the city’s oldest, as development began in 1927. Some say the decline began in the 1950s at the start of construction to build Interstate 37, which cut through the neighborhood and divided it from the rest of the city. While many residents moved away, many of those who remain are passionate and have fought for years to keep the neighborhood from slipping into urban decay. In recent years, they have tried to reverse the rough reputation it has gained.The neighborhood has a higher high school dropout rate and concentration of poverty than Corpus Christi’s average. Early education, adult literacy and mentoring programs for children in school are a part of the focused efforts with the Citgo grant. Corpus Christi Literacy Council plans to work with adults in the neighborhood to improve their reading skills and also help residents gain the training they need to get a job, including interview skills.About 120 children in the neighborhood, age 5 and younger, will be eligible for a program facilitated by United Way called Dolly Parton’s Imagination Library, a program that which mails an age-appropriate book to the kids each month.”It will be the beginning of their own library,” said Catrina Wilson, president and CEO of United Way of the Coastal Bend. The nonprofit is helping implement several education programs in the neighborhood as a part of the grant, she added.Northside homeowners, those who are elderly, disabled and low-income will be given priority for a weatherization program run by Nueces County Community Action Agency. The group will spend an estimated $7,000 per home to retrofit each house with energy efficient items. That could include insulation, LED light bulbs, roof repairs and other improvements to help keep a house cool when it’s hot outside and warm when it’s cold outside, Agency CEO Joe A. Martinez said. He expects the program within the neighborhood to kickoff in the next month.Community in Schools will work with about 85 high school students who live in the neighborhood and attend Miller High School, to help them stay enrolled. The assistance could include purchasing caps and gowns for seniors, providing vouchers for students who need eyeglasses and home visits.”We are trying to help remove barriers that prevent them from being successful in the classroom,” said Gloria Taylor, executive director of Community in Schools of the Coastal Bend.An ongoing improvement effort in the neighborhood will include Citgo volunteers will lead an ongoing effort to improve the appearance of the neighborhood, which could include picking up trash, mowing grass, painting homes and any other assistance residents request, he said.Citgo did not specify how money much each nonprofit would receive for their programs._________________________________GRANT RECIPIENTSThe following organizations received a collective $500,000 from Citgo to spend on programs that benefit the Northside community comprised of the Hillcrest and Washington-Coles neighborhoods.Big Brothers & Big SistersCommunities in Schools of the Coastal BendCorpus Christi Literacy CouncilIt’s Your Life FoundationLEAD First FoundationMary McLeod Bethune Day NurseryMission of MercyUnited Way of the Coastal BendYWCA Corpus ChristiNueces County Community Action Agency© 2012 Corpus Christi Caller Times. All rights reserved. This material may not be published, broadcast, rewritten or redistributed. West Oso Elementary School students learn a dance during an anti-smoking program presented by the It’s Your Life Foundation on Tuesday. The foundation has shared the program with about 40,000 students in 10 area school districts. It is now focusing on a teen sleep deprivation program. Jahazania Rios (left) teaches West Oso Elementary School students a dance during an anti-tobacco education program while Zehra Surani watches on Tuesday. The It’s Your Life Foundation is a nonprofit organization which has visited more than 40,000 children in their classrooms the past two years to share their anti-smoking program. Now the group made a video to combat teen sleep deprivation. 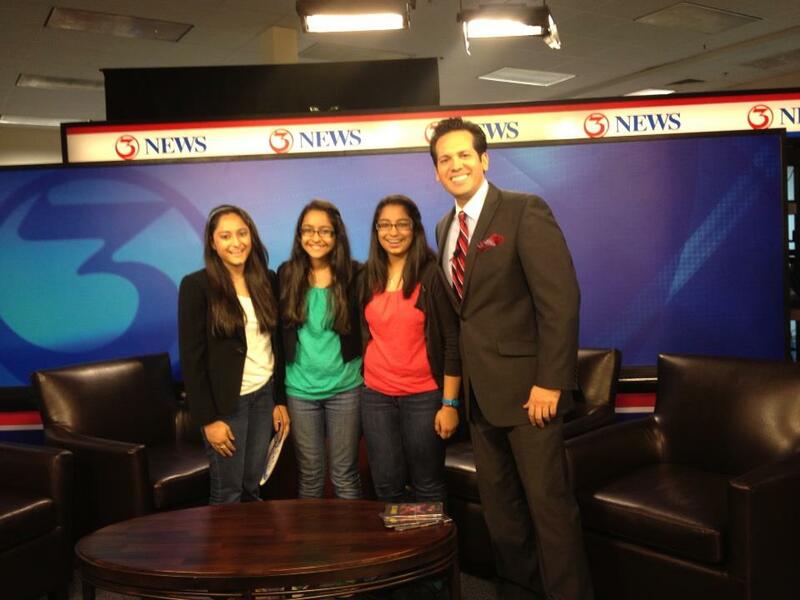 The Surani family of Corpus Christi works together to help youths with public health issues. Most recently their It’s Your Life Foundation has won awards for a 3-D animated film they plan to use to help teens understand the risks of sleep deprivation. From left are: Zoya Surani, Saherish Surani, Salim Surani, Zehra Surani and Sara Surani. Ken Harrelson talks with students at West Oso Elementary School about not smoking during a program on Tuesday. Zehra Surani watches as students at West Oso Elementary School learn a dance during an anti-smoking program presented by the It’s Your Life Foundation on Tuesday. She and her family now are developing curriculum for teens regarding the importance of sleep. CORPUS CHRISTI â€” Sara Surani’s struggle to overcome sleep deprivation became a family affair: making a 3-D animated film with medieval characters, time travel and big city action that may soon help other teens. Sara is lucky, she said. Her family understands the stress of her busy schedule, which includes piano lessons, Destination ImagiNation projects, student council and more. It has helped them bond through a mutual passion: Making a difference for other students. 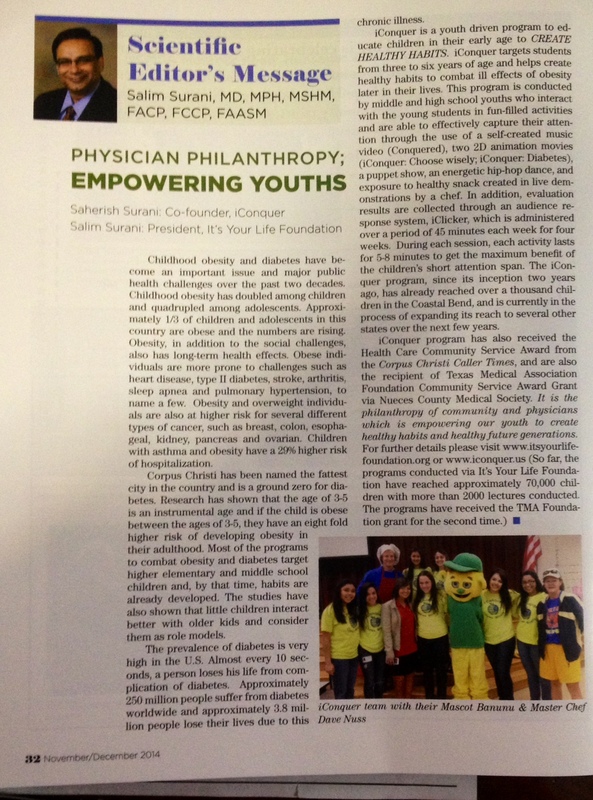 It’s Your Life Foundation was launched in 2005, when Sara’s father, local pulmonologist, sleep specialist and critical care physician, Dr. Salim Surani, brought home his work to get his family’s feedback regarding a anti-smoking campaign for elementary kids. 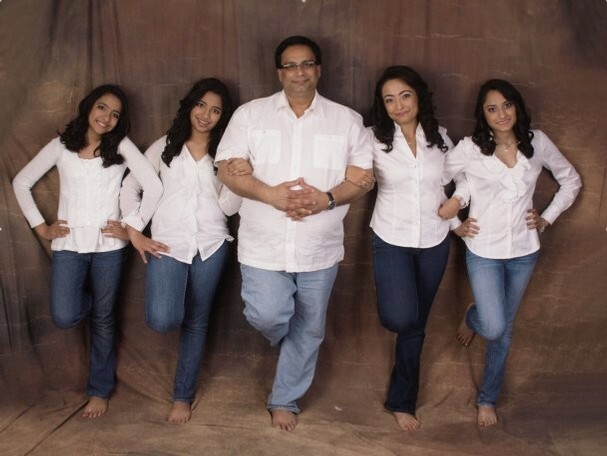 Now after seeing too many teens with brain damage after late night crashes, and his own daughter’s fight against insomnia, Surani asked all his children to help reach their peers regarding the importance of proper sleep. Reaching into the community to help children make better choices began at the doc’s expense. About $250,000 later, his foundation has delivered its Ante Tobacco message to more than 40,000 elementary students in 10 area school districts with the voice of a blue cartoon ant. 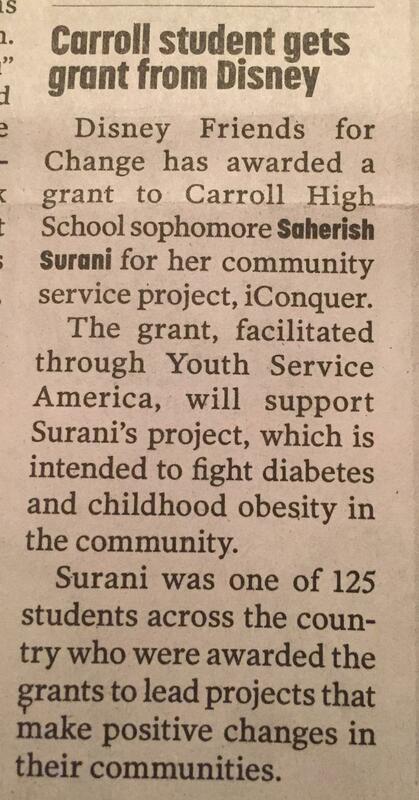 Surani attributes the success to other health industry and community partners, who bolstered funding and provided volunteers to go into classrooms. The foundation’s new project is kNIGHTS â€” for Keep Nurturing & Inspiring Good Habits in Teen Sleep. It cost about $3,000 a minute to produce its 19-minute 3-D animated film, which trails two medieval friends through time travel to a large city where they drink caffeine, play video games and stay up through the night. They are fraught with exhaustion, become combative and suffer other impacts of sleep deprivation. The film is being previewed for the public at 6:30 p.m. Thursday at Texas A&M University-Corpus Christi’s Warren Theater. “To our knowledge, this is the first 3-D animated education video on sleep in the world,” said Zehra Surani, the doctor’s wife and foundation board member. After the film preview event, the group will start using it in presentations beginning in August at area schools, she said. Sara and her friend Simone Menezes started researching sleep problems, before working with other friends and Sara’s sisters to write the screenplay. The girls are excited about the impact their work can have, Menezes, 16, said. The animated film was directed by Corpus Christi award-winning moviemaker Nikola Knez, who has more than 300 films to his credit. Voices were done by students of the university’s theater department. The project kNIGHTS’ film won two gold Remi Awards April 21 at WorldFest, Houston International Film Festival, under Knez’s iFilms LLC of Corpus Christi. One was for Knez’s animation and the other for the screenplay written by Sara, her sisters, Simone and their friends. Zoya Surani, 11, helped write lyrics, not only for the kNIGHTS film’s theme song, but the “Be smart, don’t start” Ante Smoking CD, used to deter younger grade school students from tobacco. The film’s purpose is simple: to stress the importance of sleep for teens. Studies by the National Sleep Foundation suggest that in addition to an increased risk of a car crash, sleep deprivation in teens and adolescents contributes to poor grades, obesity and other health-related problems, as well as sleep disorders including narcolepsy, insomnia, restless leg syndrome and sleep apnea. It can also prompt a teen’s worst social nightmare: pimples and acne. Research shows most teens function best with 9 1/4 hours sleep nightly, and as few as 15 percent of teens report sleeping more than 8 hours on school nights. Recommendations include avoiding caffeine late in the day; teen’s making their bedroom a cool, dark and comfy sleep haven; and trying to keep wake and sleep times consistent, even on weekends. The Suranis are pleased their dedication to tolerance and diversity prompted their children to make the film. Â© 2012 Corpus Christi Caller Times. All rights reserved. This material may not be published, broadcast, rewritten or redistributed. CORPUS CHRISTI â€” A walk and run Saturday is aiming to improve community health with a two-pronged approach: getting hundreds of people actively enjoying downtown and stopping local kids from smoking. 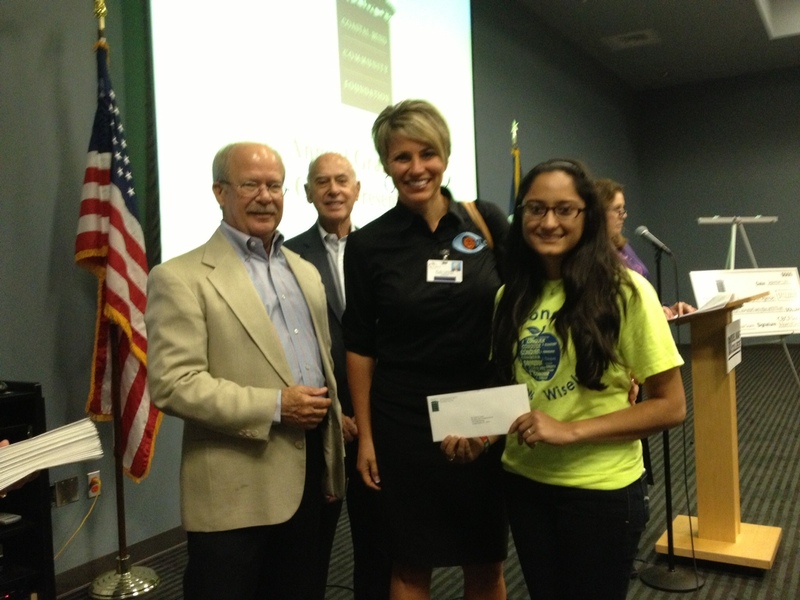 Funds raised by the It’s Your Life 2-mile walk and 5K run support the Ante Tobacco Education Program, a prevention effort headed by local pulmonologist Salim Surani. After seeing new adults each week with smoking-related lung cancer who still couldn’t shake the tobacco habit, Surani began focusing on keeping kids from starting. His prevention effort turned into the nonprofit It’s Your Life Foundation, which since 2005 has shared the Ante Tobacco message with more than 40,000 first-, second- and third-grade students in 10 Corpus Christi area school districts. Surani has largely funded It’s Your Life with his money, but as the program has grown, donations and funds from the walk/run help reach more children. Volunteers from the medical community deliver the Ante Tobacco message, which features a video starring Tinku the talking ant. “He teaches kids to say ‘no’ the first time and every time,” said Diane Kaiser, administrator at Dubuis Health System. For resisting the temptation to use tobacco, Tinku is rewarded with the strength to carry things heavier than he is. Question and answer time follows the presentations, and the students receive pencils, stickers and a book featuring Tinku. If a child doesn’t try smoking, the program’s work is done, Surani said. For many, it seems the message is sinking in already. Mayor Henry Garrett (from left) and Barbara Flato give William McDonald, Christus Spohn Hospital Shoreline COO, a a certificate of appreciation. Rachel Denny Clow/Caller-Times Tinku the talking ant is the mascot for the AntE Tobacco Campaign. An anti-smoking campaign featuring a cartoon ant named Tinku that started with four volunteers four years ago is now 75 strong, with nurses, physicians, medical students and other volunteers getting out the message. The AntE Tobacco Campaign received a boost Monday with more than $75,000 in donations going toward the It’s Your Life Foundation, a nonprofit formed in response to the growing campaign. Dr. Salim Surani and his wife Zehra Surani, who started the program locally, donated $50,000; Christus Spohn Health System donated $15,000; and several other local groups also donated to the campaign. The money will be used to update and produce a new video and workbooks, purchase additional audio/visual equipment and distribute copies of the materials to reach more children in coming years. The program targets elementary-aged children from the first to third grade in an effort to prevent a bad habit before it starts. Students in Corpus Christi, Flour Bluff, Wood River, Falfurrius, Kingsville, San Diego and other locations have received the information, and the plan is to expand the lessons statewide. The program features Tinku the ant, his friends and his family, who learn about the dangers of tobacco during a journey in which they face obstacles such as a tobacco-pushing devil ant that tries to tempt the group to smoke. The ants turn down the tobacco and are rewarded by a fairy who grants them the power to carry items greater than their own weight. FALFURRIAS – Even though about half the 130 Lasater School first-graders didn’t know what lung cancer was, they knew enough that they didn’t like the sound of it. The students soon would learn the answers as the school’s cafeteria turned into a theater. Enter Tinku the ant, his friends and his family, who go on a journey and learn about the dangers of tobacco in the film “Ante Tobacco.” Tinku and his crew are faced with obstacles on their journey including a tobacco-pushing devil ant that tries to tempt the group to smoke. The ants turn down the tobacco and are rewarded by a fairy who grants the ants the power to carry items greater than their own weight. The students sat captivated as they watched the movie, which comes with a colorful, 40-page book. 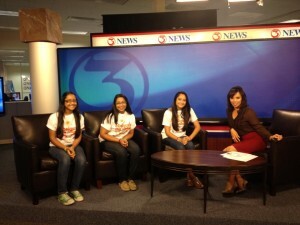 The film is part of Dr. Salim Surani’s anti-tobacco campaign. Surani, who is board certified in internal, pulmonary and sleep medicine, began the campaign 1 1/2 years ago and has visited about 5,000 students in first through third grades in the Corpus Christi and surrounding school districts. Surani and a team of about eight volunteers travel to the schools, talk to the children about tobacco use and show the film. The students also take quizzes before and after the movie to demonstrate what knowledge they’ve gained about tobacco, Surani said. The doctor said he started the campaign because of his older patients who suffer from diseases caused by tobacco such as emphysema and lung cancer. By teaching the children about the harms of tobacco at a young age, he’s hoping they will never smoke and develop similar health issues, he said. Surani, who did not write the books or film, saw the books while researching for his campaign and received the copyright waiver from The CHEST Foundation, an international medical society and branch of the American College of Chest Physicians. Surani pays for the copies of the movies and books himself. His hard work earned him the CHEST Foundation Ambassadors Group 2006 Humanitarian Award – an award for volunteer work – for the campaign. Parrish, an ex-smoker, said nothing is more important than teaching students about the dangers of tobacco use. She already has begun to see the campaign change the children’s’ attitudes after working with Surani for two months. According to the Campaign for Tobacco-Free Kids, a nonprofit organization dedicated to educating youth about tobacco use, 900 million packs of cigarettes are consumed by kids each year. The organization’s research also shows that 21.6 percent of high school boys and 21.8 percent of high school girls are current smokers. Seven-year-old Gabby Chavera knows firsthand that smoking is bad and can’t stand second-hand smoke. “It burns my nose because I have asthma,” she said. The first-grader from Lasater School said she liked the movie and was excited to take the book home. Gabby, whose parents smoke, said she would always say no to tobacco and cigarettes. The message is colorful, fun and easy to understand: Tobacco use is addictive and can lead to serious health complications. Area health advocates are hoping those words will stick with local children throughout their teens and into adulthood. Unveiled on Friday at the Christus Spohn Cancer Center, the Anti-Tobacco Targeting Children campaign centers on a DVD cartoon story line laced with anti-tobacco messages. Dr. Salim Surani, a local lung specialist heading the campaign, said because cigarette companies in the past have used popular cartoon characters, such as Joe Camel, in their marketing strategies, it is necessary to curtail “cool” images of smoking and other tobacco use with positive cartoon images. And while tobacco has been made popular through media campaigns, studies have shown that kids also learn about tobacco use from peers, family members and role models, such as celebrities, said Dr. Kalpalatha Guntupalli, creator of the anti-tobacco DVD and professor of medicine at Baylor College of Medicine in Houston. The campaign specifically targets area children in 1st through 3rd grades. Surani said the DVD has already been shown to grade schoolers in the Flour Bluff Independent School District and will soon be presented to Corpus Christi Independent School District students. Debbie Wood, vice president of people and culture for Christus Spohn Health System, said this campaign will be a definite benefit to the community. “I think the more folks that are aware of the dangers of these products, the less likely they are to try them at an early age,” Wood said.